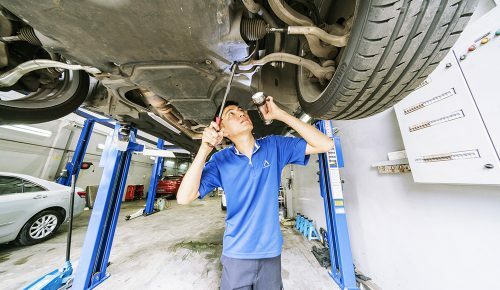 Companies that have to maintain a large fleet of vehicles usually require a reliable workshop that can handle repairs and servicing of multiple vehicles, and promise a quick turnaround time. At Accord Auto Services, we promise that, and a lot more. Our corporate program is designed exclusively for companies and corporations that have a large fleet of vehicles. The last thing that you want is to worry about car breakdowns or issues while they are on the road. At Accord Auto Services, we offer a variety of packages that are well-suited for companies of all sizes. All of the servicing and repair services that are offered at Accord Auto Services are covered under a quality assurance program. We offer bulk discounts to companies that have a specific number of vehicles for maintenance and servicing. Our bulk discount packages will reduce the burden on your company’s expenditure without any compromise on performance. All repair and servicing is done by seasoned mechanics that are experienced in working on different makes and models. We repair and service all makes and models in the industry. You can make an appointment through our website to consult with us about your company’s car maintenance needs and we will work out a most compelling package for your company. If you hire us for repairing and servicing your vehicles, we guarantee you the best in terms of reliability and efficiency. We understand that most companies can’t afford to have their vehicles in workshops for days. That’s why we offer such a quick turnaround time and use only the most reputable brand-name parts, lubricants, and materials in all vehicles. Give us a call and make an appointment. We guarantee that you won’t be disappointed with our work.